Confederate forces east of the Mississippi. too late for the First Battle of Manassas. 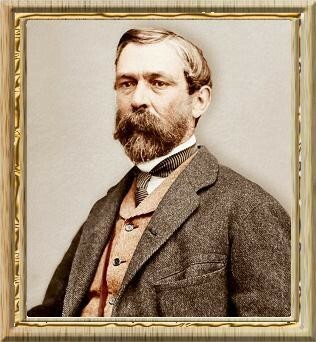 Taylor was a brother-in-law of President Jefferson Davis, and rumor had it that in the fall of 1861 he was offered the post of quartermaster general of the Confederate army. If so, he declined it, but from time to time throughout the war he continued to be the beneficiary of Davis’s favoritism. In October he was promoted to brigadier general and given command of a Louisiana brigade that became part of Richard S. Ewell’s division. Taylor served with distinction in the Shenandoah Valley campaign during the spring of 1862 but was kept out of the Seven Days Battle by rheumatiod arthritis Recovering within a few weeks, he was promoted to major general and was assigned to command of the District of Western' Louisiana in August 1862. Although dreaming of retaking New Orleans, he generally found himself falling back before Federal forays such as Maj. Gen. Nathaniel P. Banks’s April 1863 Bayou Teche expedition. At the urging of Trans Mississippi commander E. Kirby Smith, who was himself under pressure from Richmond, Taylor moved against Ulysses S. Grant’s supply lines on the west bank of the Mississippi opposite Vicksburg. The attempt was a failure and Grant’s campaign culminated in the capture of that key Confederate stronghold. Taylor was forced to fall back before Banks’s Red River expedition in the spring of 1864 but defeated Banks at the Battle of Mansfield, Louisiana, south of Shreveport, or April 8, 1864. Outnumbered twelve thousand to nine thousand in troops engaged, Taylor inflicted double his own casualties and captured twenty cannons and two hundred supply wagons. Although defeated the next day at Pleasant Hill and ordered by Smith to fall back temporarily or Shreveport, he had succeeded in forcing the withdrawal of Banks’s ill-fated expedition. Rewarded with a promotion to lieutenant general, Taylor was nevertheless bitter toward Smith, blaming him for Banks’s escape. He thus welcomed orders to take his troop! across the Mississippi for service in the East. Finding the river too heavily patrolled by the U.S. Navy, he had to remain in the Trans-Mississippi until August 22, 1864 when he was ordered to go east personally to take command of the Department of Alabama, Mississippi, and Eastern Louisiana. On January 23, 1865, Taylor was named as successor to John Bell Hood as commander of the remnants of the Army of Tennessee, which Hood had wrecked at Franklin. and Nashville. As such, Taylor’s prime role was shipping his units off to the Carolinas to oppose William Tecumseh Sherman. On May 4, 1865, he surrendered to Gen Canby at Citronelle, Al. memoirs of the war. He is buried in Metaire Cemetery in Louisiana.